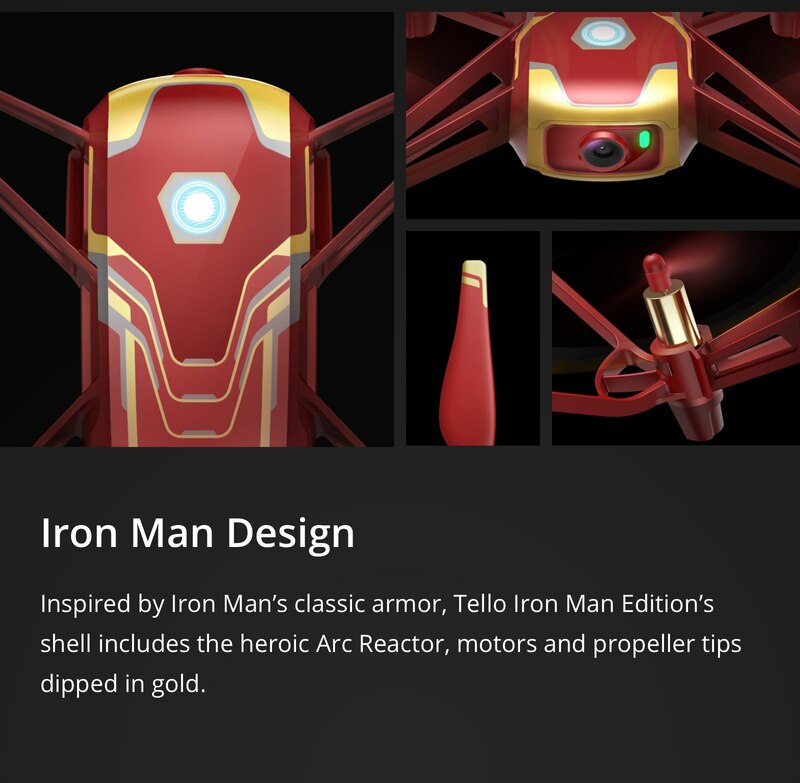 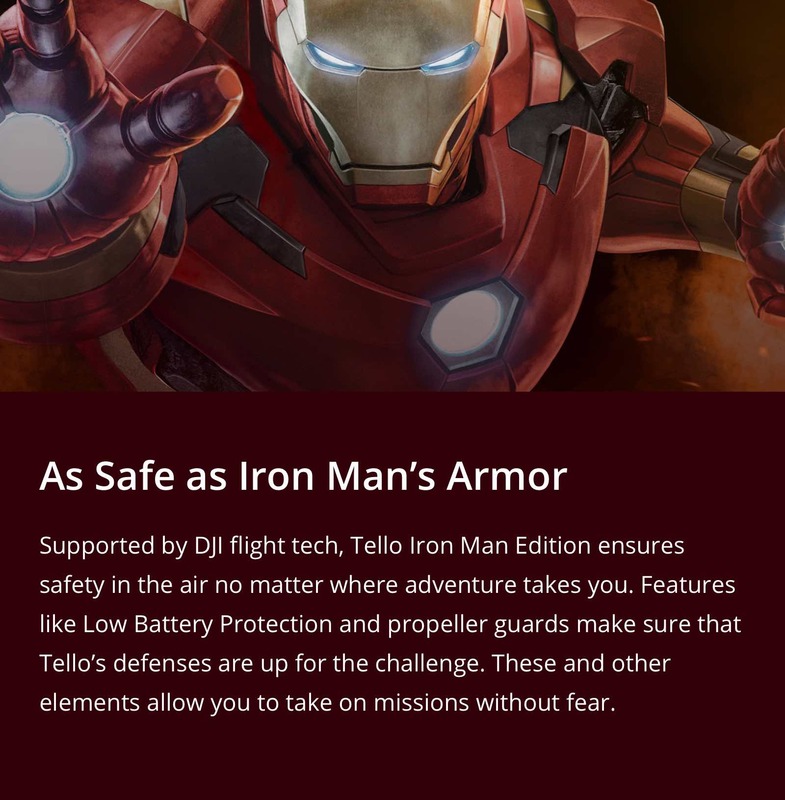 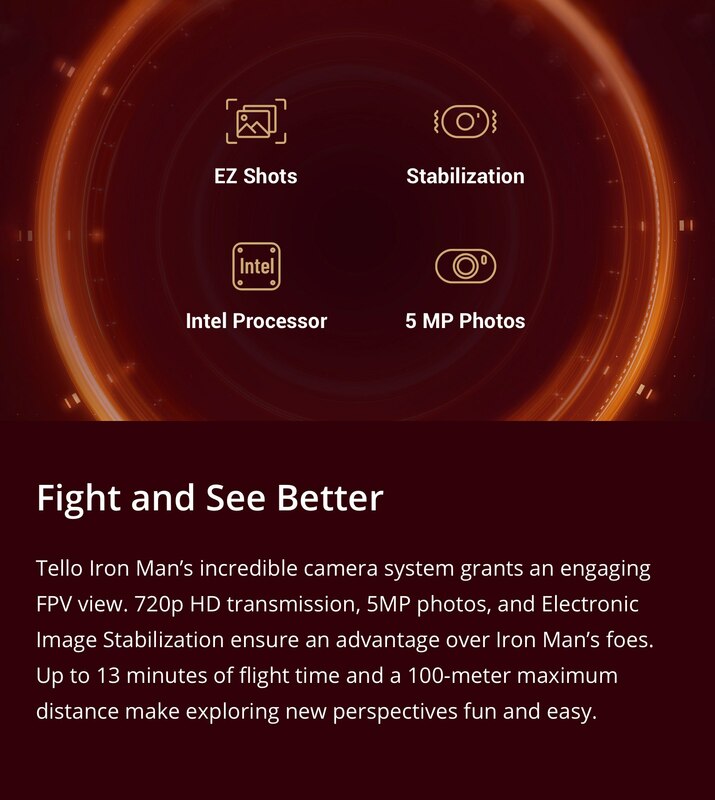 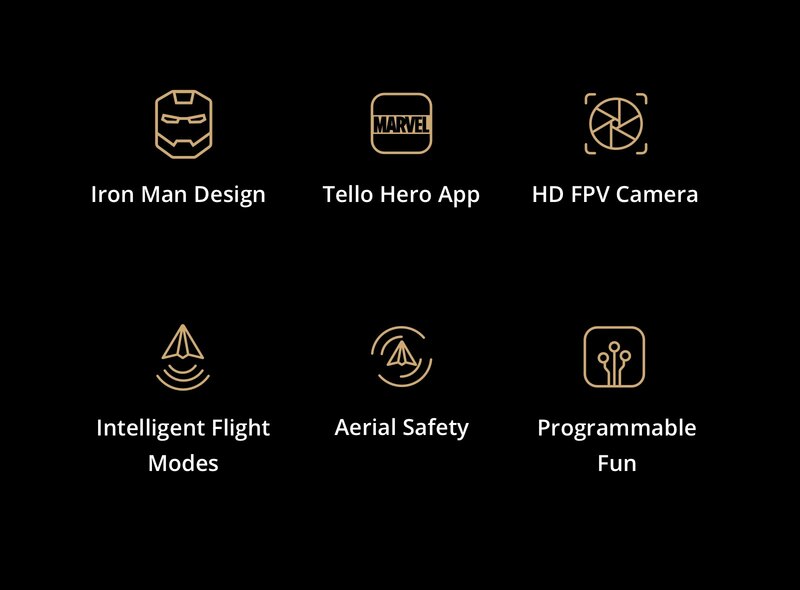 DJI is proud to announce Tello Iron Man Edition, the result of a collaboration with Marvel and Disney. 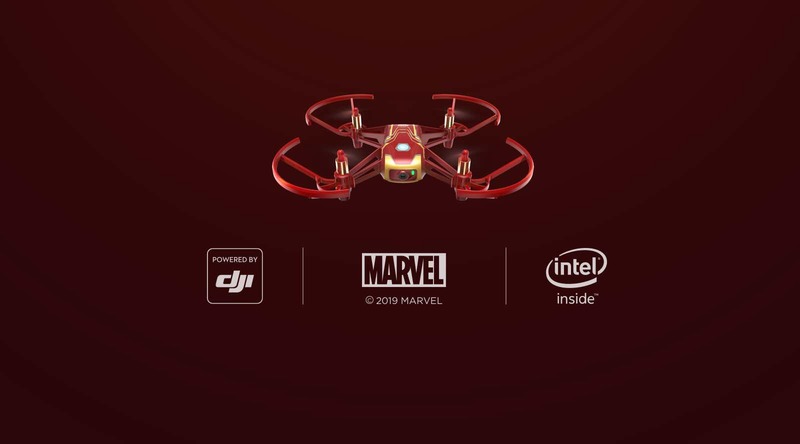 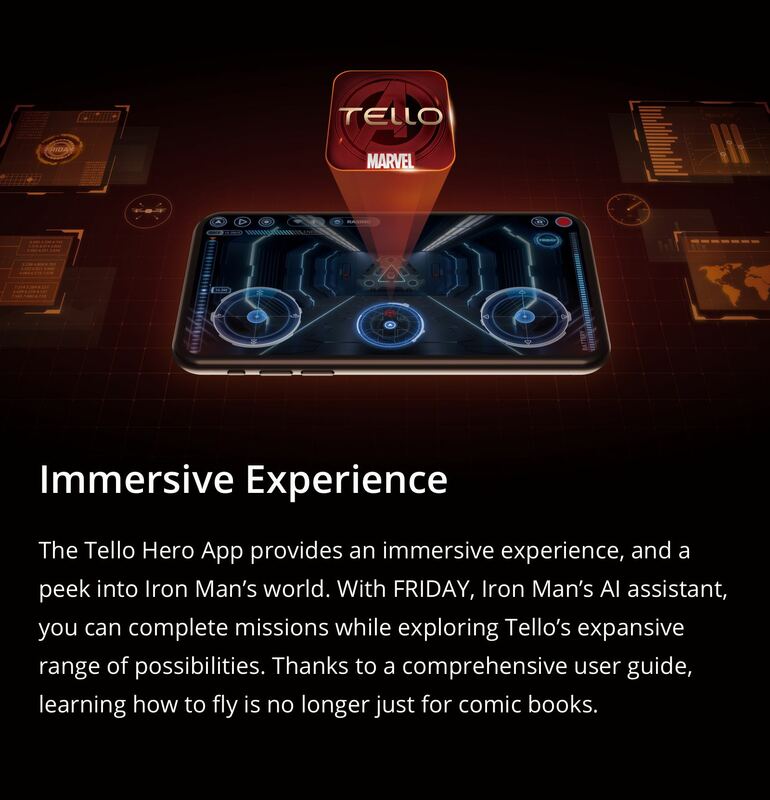 This mini drone features the classic Iron Man design, an immersive flying experience, and an upgraded flight app featuring Iron Man’s AI voice assistant, FRIDAY. 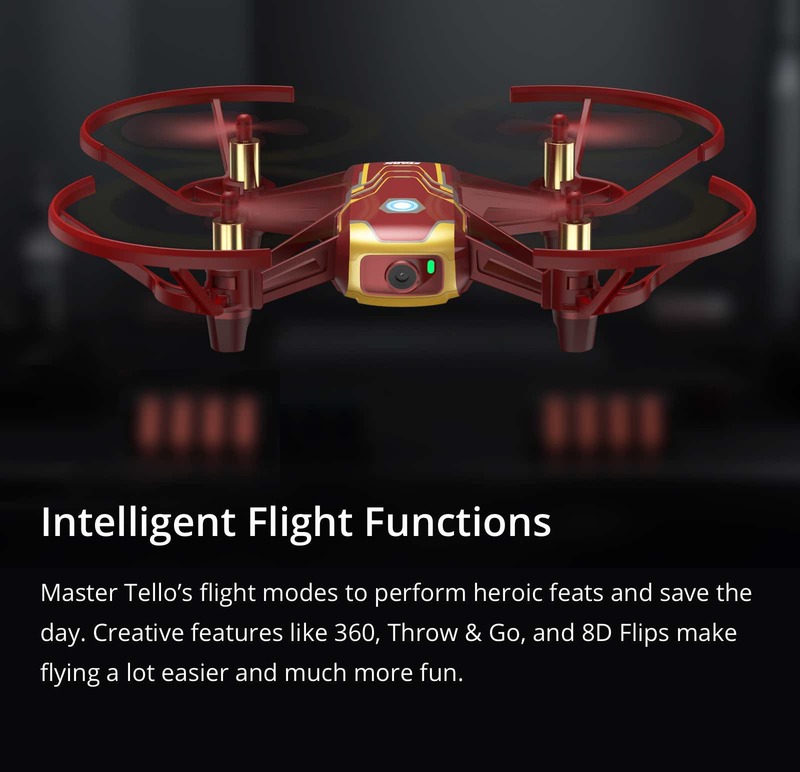 This is the latest addition to the Tello series, known for its intuitive functionality, stability, compact size, and suite of fun features. 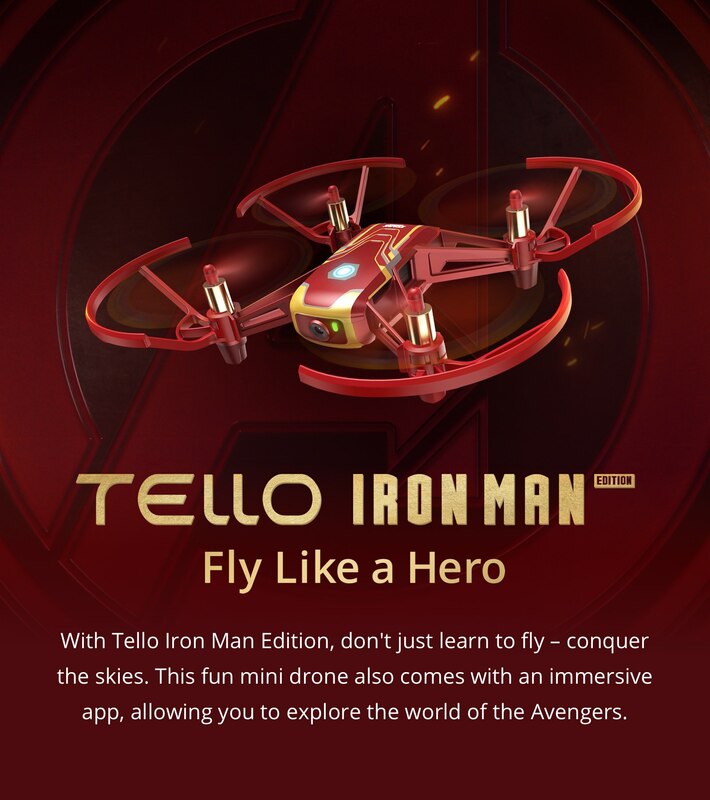 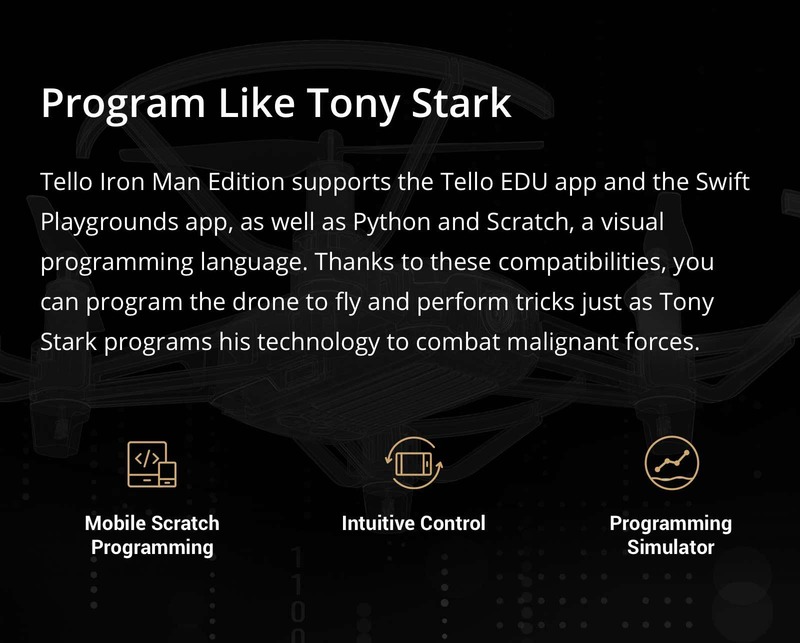 For Marvel fans, Tello Iron Man Edition is perfect for learning how to fly a drone while immersed in the exciting world of the Avengers.